The Non-local means denoising filter has been established as gold standard for image denoising problem in general and particularly in medical imaging due to its efficiency. However, its computation time limited its applications in real world application. In this work, a distributed version on parallel hybrid architecture is proposed to solve the computation time problem, a new manner to computer the filters' coefficients is also added. The obtained results demonstrate the efficiency of the proposed method where we achieved a speed up > 500. 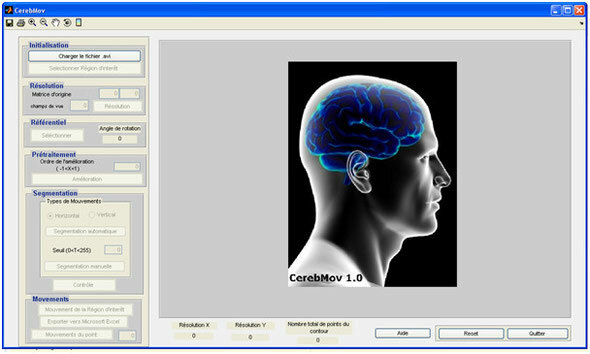 This software was done in collaboration with the company BULL. This soft results from a collaboration between the "Antenne Analyse et Restauration du Mouvement (Paristech-ENSAM CNRS 8005) of Centre Hospitalier Universitaire Henri Mondor de Créteil" and the academic research laboratory LiSSi (Laboratoire Images, Signaux et Systèmes Intelligents) of Université Paris Est Creteil. For more details about the project click on this (Link).